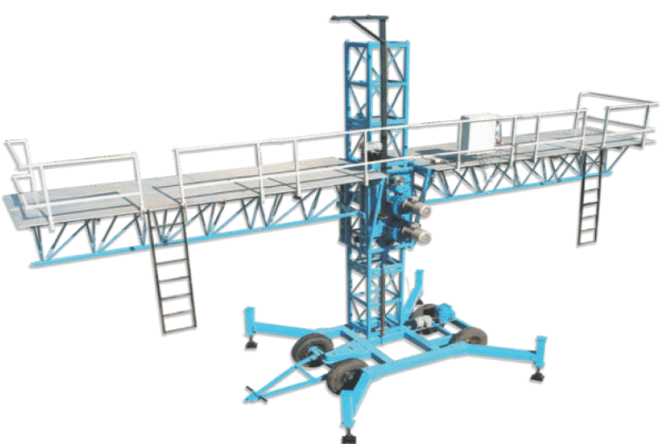 These platforms are very easy to assemble at the site and can be erected up to 6 meters without support, just by using jacks. For heights above 6 meters, anchoring has to be done every 3 meters. 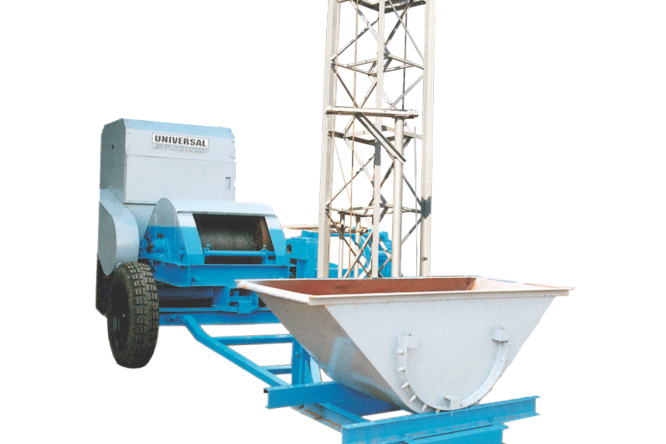 Universal offers standard sizes for these platforms, but they can be customized as per customer requirement. 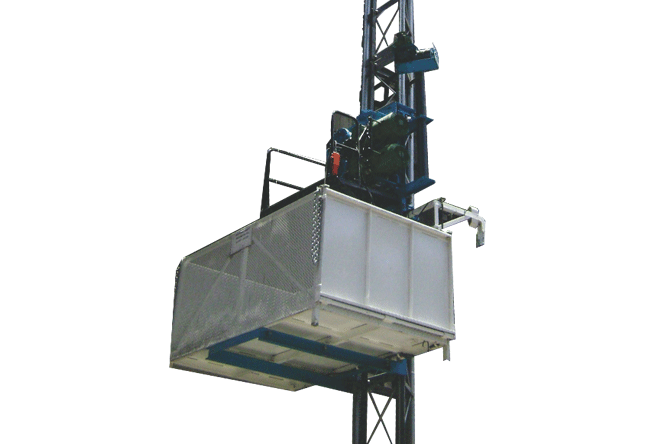 Twin Mast platforms are also available. 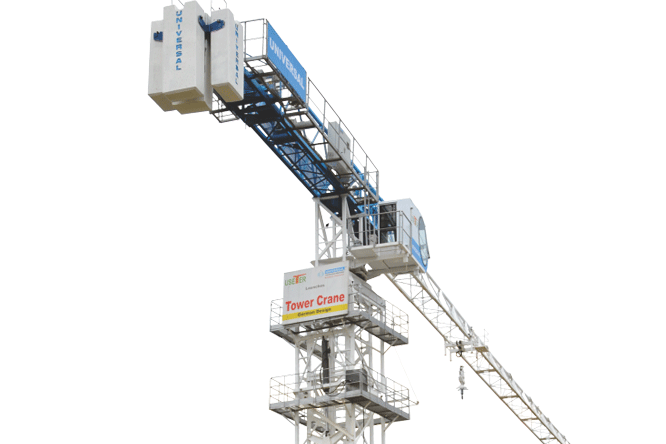 They are fitted with excellent safety features so that workers can work safely at desired heights. Specifications for standard platform are as mentioned below. Max. 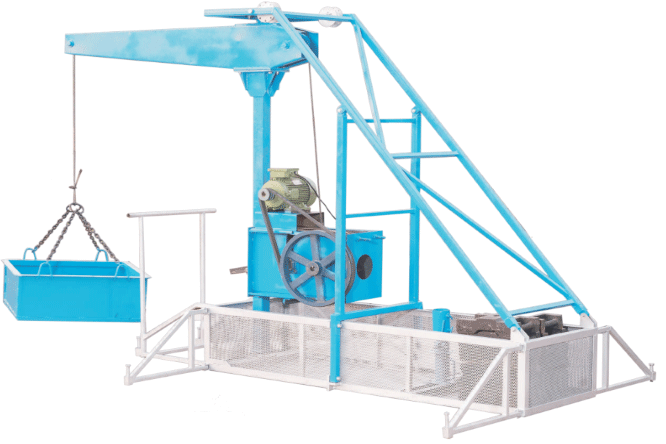 Load – 1000 Kgs. Power – 5 H.P. Geared Electrical Brake Motors, 2 Nos. Platform Size ( L X W ) – 10000 X 1500 mm. Top covered with 3 mm thick M.S. checkered plate. 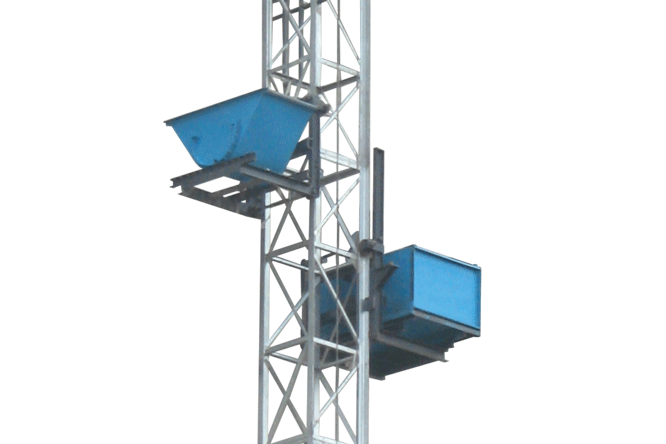 Mast Section – Square 700 X 700 mm (Made in 60 X 60 mm Sq. Tube). Mast Weight – 106 Kgs. (Approx). 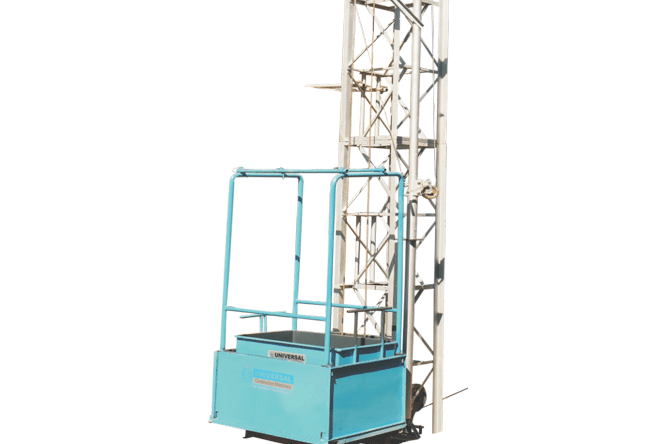 Mast Height – 1483 mm.